This habitat type occurs on deposits of shingle lying at or above mean high-water spring tides. The most extensive drift line communities occur along the shores at the southern end of the Lough. The distinctive vegetation, which may form only sparse cover, is ephemeral and composed of annual or short-lived perennial species, such as sea sandwort, sea Mayweed, sea rocket, spear-leaved orache and sea beet. This feature is in favourable condition. These shingle structures develop when a sequence of foreshore beaches is deposited at the limit of high tide, and more permanent ridges are formed when storm waves throw pebbles high up on the beach, from where the backwash cannot remove them. In Strangford Lough, this feature occurs at Gransha Point south of Kircubbin. Associated vegetation includes curled dock, yellow horned-poppy, sea kale and sea pea. In more stable areas of shingle above this zone that are influenced by sea spray, the plant communities are dominated by salt- tolerant species such as thrift and sea campion, often in a matrix with abundant lichens. The 2004 condition assessment found that this feature was unfavourable because the vegetation had been altered by intensive management and eutrophication. Site specific action: Seek management agreements that aim to manage livestock grazing in this feature at sustainable levels. This pioneer saltmarsh vegetation colonises intertidal mud and sandflats in areas protected from strong wave action. It develops at the lower reaches of saltmarshes where the vegetation is frequently flooded by the tide, and also colonises open creek sides and depressions within saltmarshes. In Strangford, this habitat is mostly confined to sheltered areas on the eastern side of the lough. This habitat typically comprises a small number of species. It is dominated by glasswort and seablite. 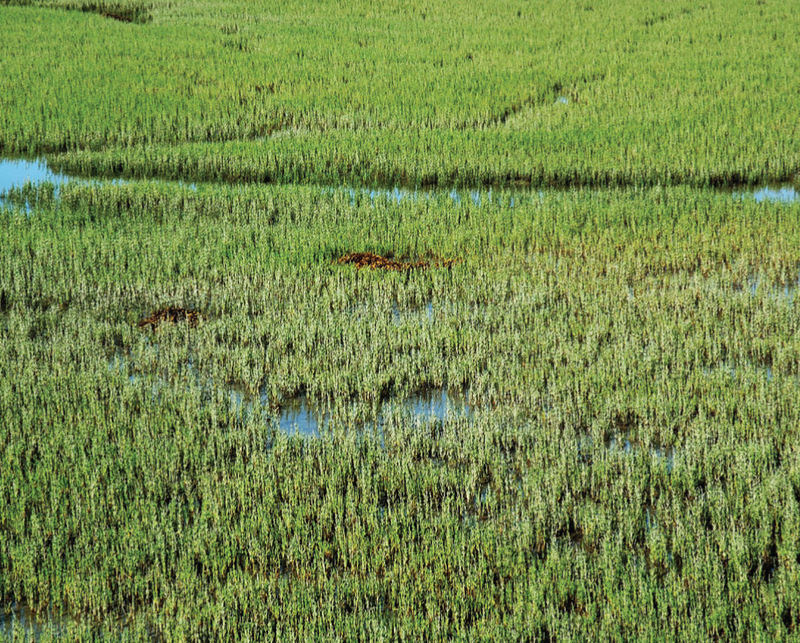 The 2008 condition assessments found that this feature was in unfavourable condition due to the high frequency of Spartina anglica. Site specific action: Programme to remove invasive species S. angelica primarily by spraying. Atlantic salt meadows develop when salt- tolerant plants colonise soft intertidal muds and sands in areas that are protected from strong wave action. The vegetation varies with the frequency, the duration of tidal inundation and the amount of grazing by domestic livestock. 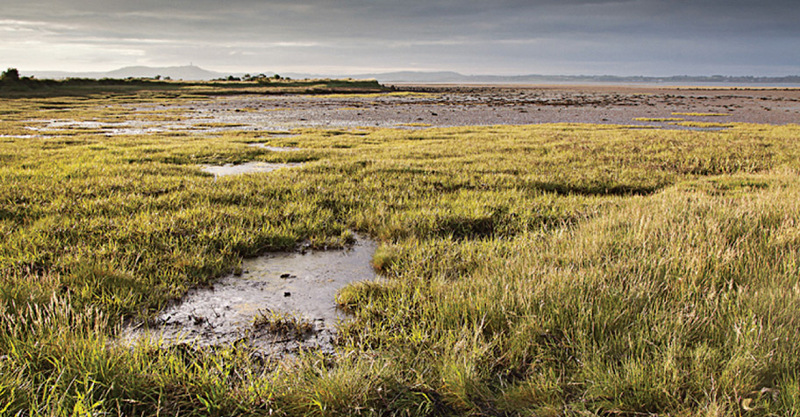 In Strangford, there is a relatively extensive area of saltmarsh around the mouth of the Enler River near Comber, and smaller areas of saltmarsh occur near Greyabbey and Newtownards, at Saltwater Bridge and at the innermost region of The Dorn. Small, isolated pockets of saltmarsh also occur along the shores at the southern end of the Lough. Although they are small and scattered in occurrence, they are important because of the diversity of species and rarity of the habitat in Northern Ireland. The 2008 condition assessments found that this feature was in unfavourable condition due to the high frequency of Spartina anglica. Site specific action: Programme to remove invasive species S. angelica primarily by spraying with herbicide. 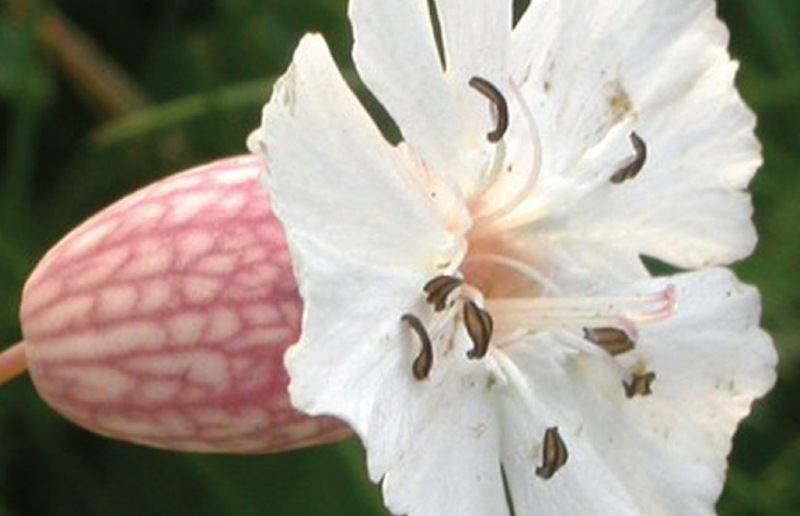 June is generally the best month to enjoy the lovely drifts of coastal flowers such as this sea campion, Selene maritima.